A few days ago Royalty Exotic Cars on YouTube showed us what could be the most insanely complicated oil-change procedure ever, courtesy of the Bugatti Veyron. We’re told dealers charge $21,000 for this service, which is actually about the same price as a nicely optioned Honda Civic Coupe. The crew spent two days taking a good portion of the car’s backside apart to gain the necessary access for adding oil and checking filters, and judging by how many of you readers read the article, we suspect you were as fascinated and shocked as we were. Now, the same crew is back with the same Bugatti Veyron, which now wears a snazzy red body wrap. This time the mission is a bit more ambitious than changing the oil on the W16 engine, or rather, it should be more ambitious. Given just how involved that process is, it could actually be easier to convert the Veyron to rear-wheel drive. Why in the world would anyone want to do such a thing? Apparently, that can be summed up in one word – donuts. 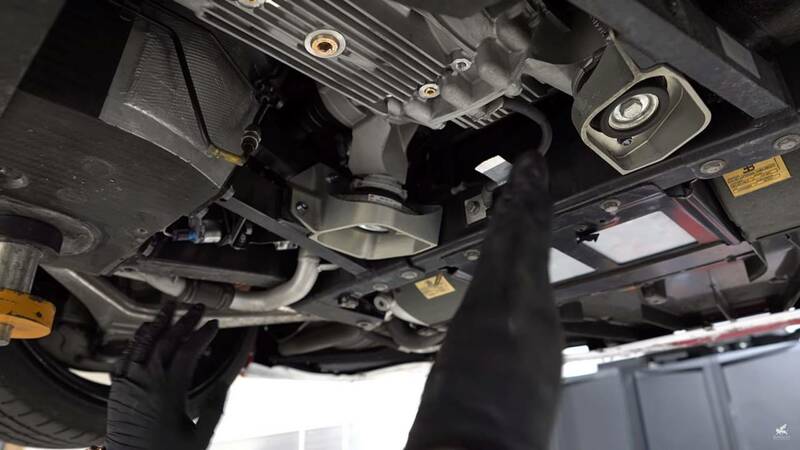 We will let you watch the video to see the steps involved in the process, and frankly, it does look easier than doing the oil change. Performing such a conversion on a modern car, we’d expect the biggest problem to actually be the computer trying to understand why all the power was going to the rear tires. The Royalty Exotic team was expecting something as well, but a test drive – at low speeds anyway – showed no problems. In fact, disconnecting the driveline components up front drastically improved the Veyron’s turning radius, and it significantly lightened the steering feel. It also shaved weight from the Bugatti’s portly underpinnings, though by exactly how much isn’t revealed. So, what’s a 1,000-horsepower Bugatti Veyron like as a rear-wheel drive hypercar? 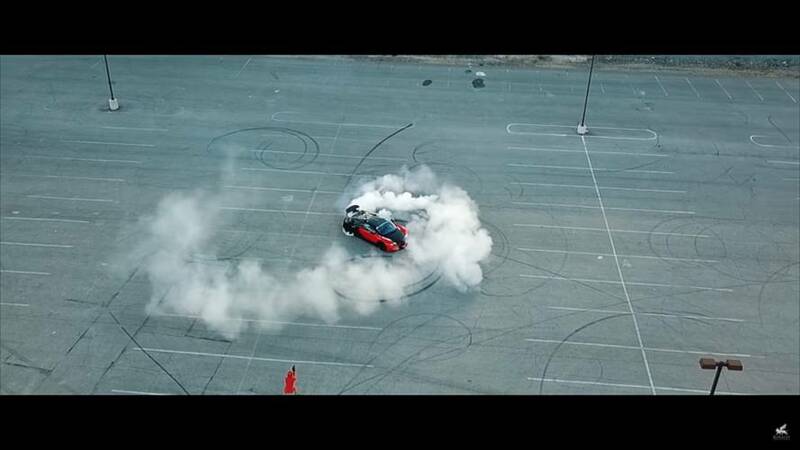 We’d actually be very interested to see more of its driving dynamics, but the video doesn’t progress beyond the requisite smoke show and donut-fest that obliterated a pair of new tires. Not that we mind the antics – if we had the time and resources to tweak one of the world’s most expensive exotic cars in such a fashion, we’d probably do the exact same thing.